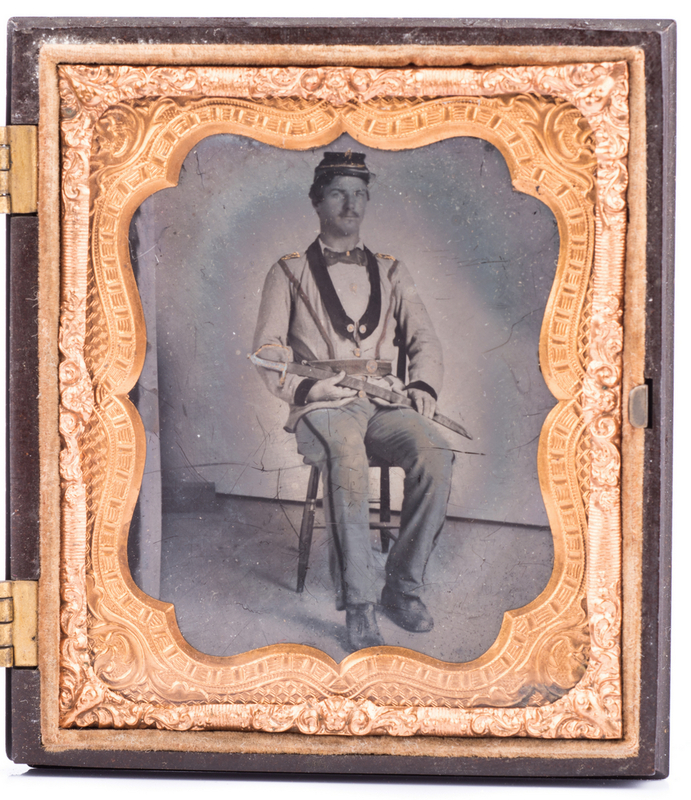 Civil War CSA ambrotype, sixth plate, possibly Mississippi Volunteers. 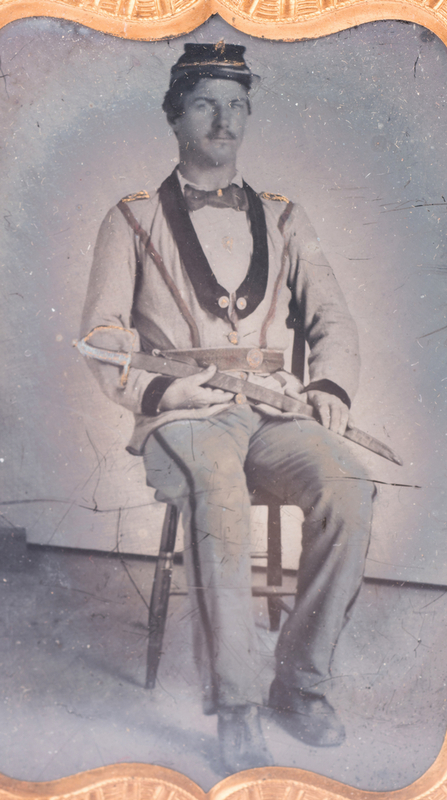 Soldier is seated and wearing an unusual coat with a kepi, holding an artillery officer's sword. 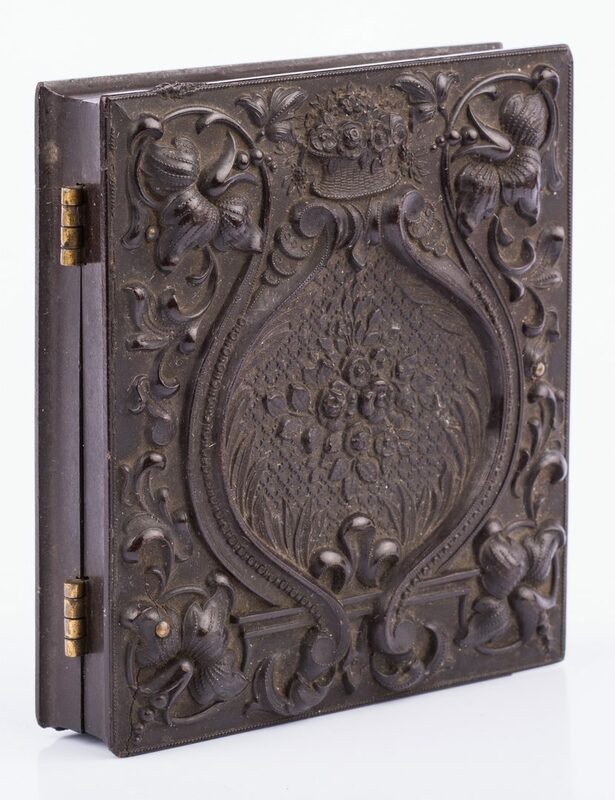 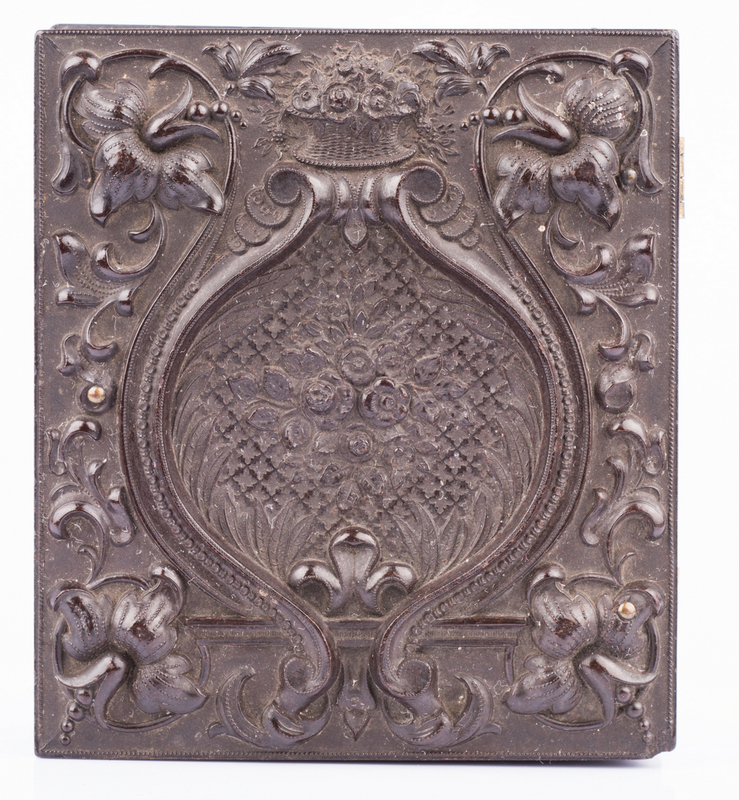 Housed in a carved gutta percha case labeled "Holmes, Booth and Haydens' daguerreotype, Photographic and Ambrotype Goods, of every description". 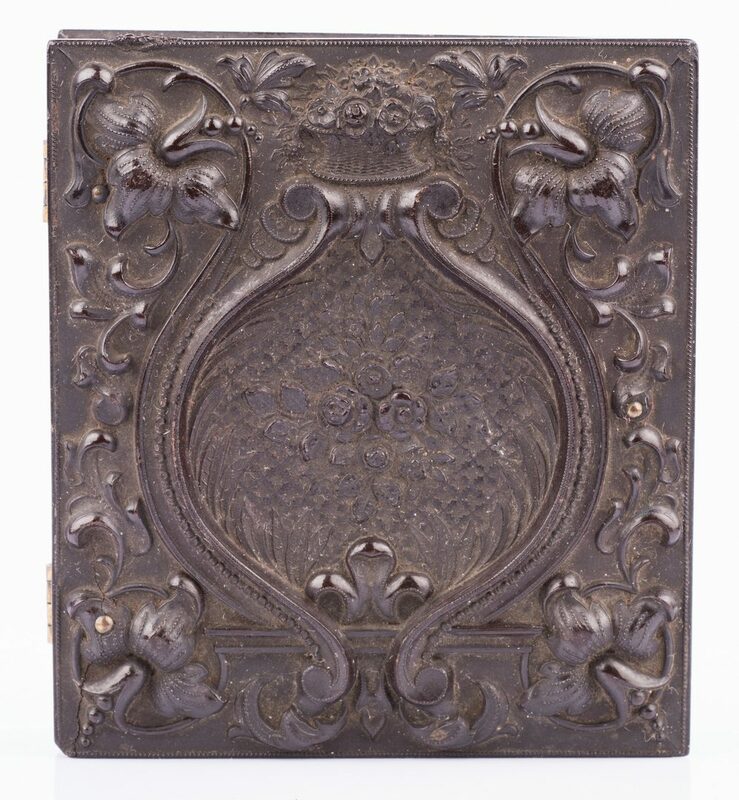 Case – 3 3/4" H x 3 1/4" W. Private Knoxville, TN collection, purchased from Gary Hendershott, Little Rock, AR. 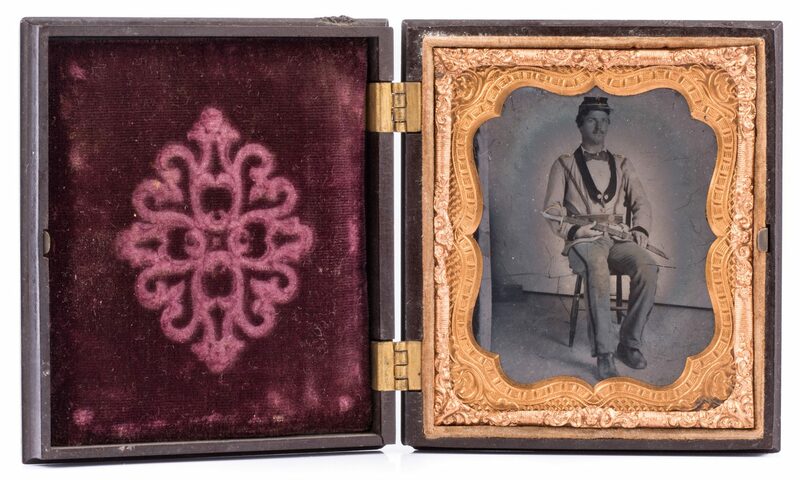 CONDITION: Ambrotype with slight halo around figure, case very good condition.